Hearts & Homes is committed to serving our community by providing adults who have developmental disabilities with housing and daily living opportunities. Hearts & Homes is a charitable organization dedicated to addressing the severe housing shortage for adults with developmental disabilities in Virginia Beach. Originally founded under the name BizNet, Inc., we are governed by an all-volunteer Board of Directors. Our members are drawn from the local community, from its business leaders and service professionals, and from families with members who are developmentally disabled. Though our life experiences are diverse, we are united by our belief in the value of every individual, and our passion for a community that is wholehearted in its inclusiveness - a community where even the most fragile citizens can have a place to call home. We believe that our community's creative vibrancy and commitment to its citizens with disabilities depend on valuing the gifts of every individual. We support the movement away from remote institutional warehousing facilities. 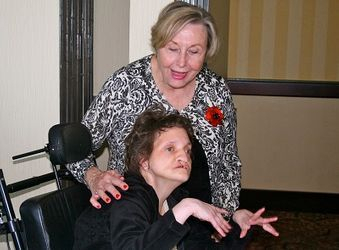 We also understand the broad range of needs and abilities among persons with developmental disabilities. This requires a diverse approach to community housing and assistance and includes all kinds of choices, as we strive to best serve our residents and their families. Hearts & Homes is a 501 c 3 charitable organization and was founded in 1993 as BizNet, Inc.